Ah! The good old HEQ5 Pro! A great mount at a very pocket-friendly (well, relatively) price. I’ve had mine for a few years now. It’s a very solid mount, with a lot of features, and a pretty decent weight limit. It can carry up to about 11Kg for imaging purposes (18Kg for visual). It’s also very portable in comparison to the NEQ6, it’s big brother. 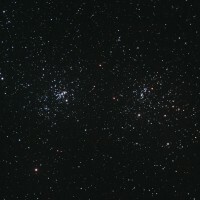 They are great mounts that have brought the possibility of computerised visual use and imaging to a lot of consumer-level astronomers that would otherwise never have been able to afford it otherwise. Unfortunately, with the lower price, mass-produced Chinese-manufactured mounts such as these, there are bound to be compromises, as the manufacturing processes used never have the same tiny tolerances that come with the higher-end kit. In the end some will always be better than others. I was lucky in that mine was always one of the better ones until relatively recently. To cut a long story short(ish), for the last year or so, I have been having increasing issues with guiding during long-exposure deep-sky imaging. As these mounts get older, the brass gears inside them gradually wear. Mine is, I would estimate, at least 9-10 years old. It is an early model of the GoTo HEQ5 pro. 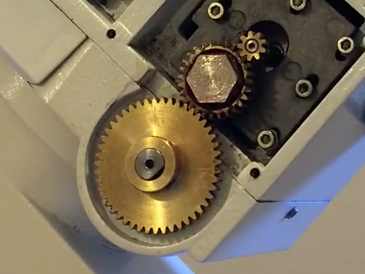 You can tell this by the shape of the top of the bolts/spindles that hold the idle gears in place. If you have an older model, it has hexagonal tops to the spindle bolts, whereas newer versions have a circular top. the picture to the left shows the older hexagonal bolts that mine uses. The reason for needing to know this is relevant to the mod I did to sort the problem, as modding the older type of HEQ5 is slightly more problematic than the newer ones. I cover this in the video below, but first a little info about how I diagnosed the issue. The symptom I was getting was that in long exposures (and that included everything from 30s to 5 or more minutes), I was getting elongated stars. These elongations were the same no matter what the exposure was (i.e. they weren’t any worse on longer exposures than shorter ones). About the best I could get is shown by the picture on the right. If your mount guiding is bang-on, even if your alignment is little out, you should be able to get exposures up in the double-figures of minutes without the stars looking elongated at all. 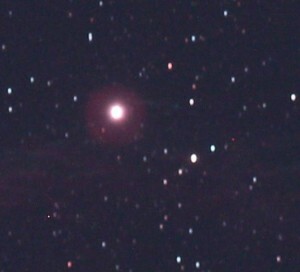 If you take a look at the shot Ive included here, you can see that the stars are well-and-truely eggy. The problem with this is that is means your fain DSOs will be ‘smeared’ across the image, resulting in a blurry image that doesn’t stack as well. The unusual thing in this case was the fact that the elongation was the same no matter what the exposure duration. If the issue was due to ‘drift’ (i.e. gradually moving out of line), then the elongation would proportional to the exposure. However, a five minute exposure and a 30 sec exposure showed the same elongation. This pointed to an ‘oscillation’. In other words, one of the axes was very slightly moving back and forth (or more likely slowing and speeding again). 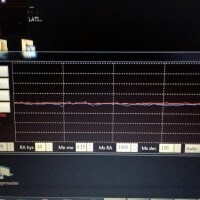 I adjusted every parameter possible in PHD guiding, and although I managed to improve matters very slightly, I could not tune out the oscillations. Next step was to service the mount. A fellow astronomer did the deed for me, dismantling the mount, cleaning, re-greasing, etc. This took away the vast majority of the backlash I was experiencing. However, in the end, this actually made no difference whatsoever to the problem. I must admit, after month up on month of frustration, I was actually ready to give up. As you can see, this shows the RA axis oscillating, and so being corrected in both direction, in a fairly consistent rhythm. The corrections vary, but the duration always seemed to be similar. After a bit of calculation, I worked out that peak to peak, the oscillations were coming out at around 14 seconds on average. I opened up the mount, and set it to track at sidereal rate, just as it would when doing guided exposures. I then timed how long it took for the motor gear to do one complete revolution at this rate. Turns out is was more or less bang-on 2 minutes. I then counted the teeth on the motor gear. This came to 9. Therefore 120 seconds, divided by the number of teeth would give you the number of seconds per tooth at sidereal rate. Just so happened that this turned out to be 13.333 seconds – matching the more-or-less 14 seconds per oscillation I was getting. Eureka? Well, maybe not a smoking gun, but not far from it in my eyes, considering I’d tried everything else. At this point, I was looking for anything else I could think of. So – I took the plunge and decided to get rid of what could be the source of the issue, buy getting rid of the teeth. How? A belt modification, that’s how! Many people have successfully modified their HEQ5 mounts (and NEQ6s also), to use a direct belt drive instead of the normal motor gear, idle gear, worm gear arrangement. Several companies have made providing kits for this very purpose part of their business. Rowan Astronomy in the UK is one of them. This kit is one of several available. It is, however, the only one I know of that maintains the gearing ratio of the original setup, meaning that your Synscan handset will still work. With the others, you often are confined to EQMOD only. This kit is a direct replacement for the gears under the side panel of an HEQ5. It results in the movement of the motor being linked directly to the movement of the worm, and results in zero backlash between the two. In the standard geared system, there is always play between the gears, as fully meshing them causes them to bind and jam. Backlash is the effect caused by the incomplete meshing where when the direction of the drive is reversed, it takes a vary small amount of turn before the gears engage again and start moving the worm the other way. In most systems, this wouldn’t be too much of a problem, but in an astronomical mount, this micro gap is amplified to a point where it can become a big problem. the price for the kit seems, on the surface, to be rather high for what it is. You get a bag for each axis containing some aluminium gears, an idler plastic wheel and spindle, and a belt. Alongside that, you get a set of tools for doing the job (allen keys etc), a set of replacement screws, and a plastic spacer to put between the mount and the cover due to the increased space needed following the upgrade. Just one thing – if you don’t have an equivalent tool, make sure you also buy the pinion gear extractor. It’s worth the extra tenner. I was lucky enough that I found someone who had a similar tool, but only after failing myself to do the job with standard tools. Also bear in mind that with an older HEQ5, you need to drill out the bottom of the hole that the idle spindle fits in, as the older type (with the aforementioned hexagonal top) has a thread at the bottom, which stops the replacement spindle sitting low enough. I also used some epoxy to hold the spindle in place, as not having a pillar drill resulted in the holes in my motor plates being slightly oval following drilling out. Not a massive issue, as once epoxied, the whole thing still works fine. the idler is only there to tension the belt. I’ve made a video of the main steps of the process as I carried it out, and some discussion around it below. This video also shows a quick test of the sound mount following the mod. Take a look before I discuss the results below. So… what are the results? I can sum it up in three words. Buy. One. Now. Honesty? I can’t think of another upgrade that has just the job advertised so admirably. After modification, the whole setup sounded much quieter, and lacked the normal ‘coffee grinder’ sound that these mounts tend to give out. I must admit, mine was never too bad sound-wise, but it’s always reassuring when it sounds better! As for guiding – it now seems to be much improved. 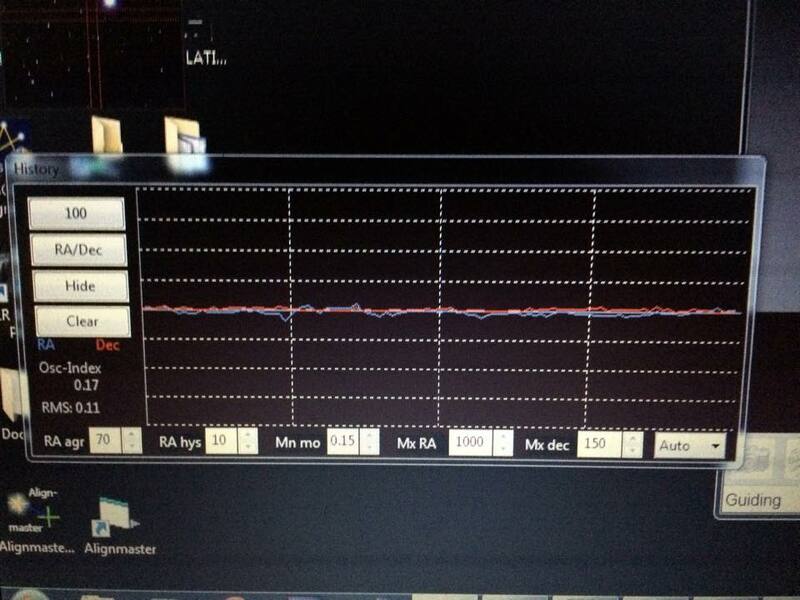 To the left is an image showing the PHD graph I got during my first tests with the modded mount. The graph (taken with a phone camera!) does how a distinct lack of the oscillation that I was getting previously. However, a flat PHD graph is never the whole story, or proof that your stars will be nice and round. The proof, as the say, is in the pudding. To that end, below are a few images produced during the Disciples of the Dark Arts star party, which was the first test of the newly modded mount in the field. Verdict? It performed admirably! These were taken with my standard setup of the Starwave 102ED, modded Canon 1100D, and QHY5v-based finder-guider. They are only a few quick captures, as the conditions were far from ideal, but they prove that, finally, after almost a year of frustration, my guiding seems back on track. The good thing about this is that it has been reproducible. 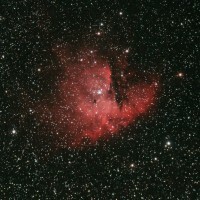 I’m now in a position where I can finally get back into DSO imaging. My c8 has been sat waiting for this moment, and I can’t wait to get an opportunity to give it a go. Guiding that with the help of the ST80 will be a new challenge, but hopefully, I’m now working from a decent baseline. As a final word, since I did this mod, several members of the DDA and also my astro society have also taken the plunge based upon my recommendation. Nobody has been disappointed… This speaks for itself. 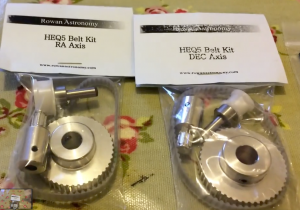 A few have even managed the more difficult NEQ6 belt mod – that’s one that isn’t as straightforward, and may require a bit more confidence to carry out – the mount needs to be basically stripped back completely. I can vouch for the HEQ5 one though – definitely worth the effort! Hello Adam, I’ve been following this mod from day one of its release from rowan astronomy and i am hesitant on buying this mod since i have never seen any results up until i stumbled upon your video. I would like to know what are the exposures of the photos you show and also if you had any chance to use your c8? 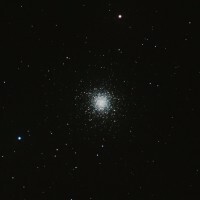 I image with an RC8” scope and also with an ED80 and my biggest concerns are when imaging with my RC8. Also since i have the same hexagonal screw do you know if there is a new spindle for this version (i will also ask rowan this) so i won’t have to drill a new threaded hole? Sorry – For some reason, your comment got caught in my spam filter! I’ve imaged since the upgrade, but not with the C8. I decided to sell the C8 on, as the challenges of long FL imaging on a non-permanent setup (i.e. not in an observatory) were getting in the way of getting anything done! However, the problem was also evident with my shorter FL scopes (an f/7 102ED and an f6 70ED). Both of these are much improved, with stars round and guide graph looking much better! I’d say the mod was definitely a winner. As for the hex spindle replacement – I wouldn’t worry about it if I were you. the drilling out is pretty easy, though even easier if you have a pillar drill. you could even do it with the right size round file. I certainly would say don’t let it put you off – I don’t regret the mod for a minute! The PHD numbers you are getting are that of $4000.00 mount. Is your seeing spectacular I must be missing something. I did the same mod on my eq5 and still get the same numbers as before the mod. Figures-wise, I try not to worry. As I have a mobile setup, as long as my stars are round, I’m happy :). They likely vary a fair bit between sessions, as I have to set up and polar align each time, and my polar alignment is never the best! However, since the mod, it seems to behave itself way more than prior to it!